Earlier this week I installed Yamaha’s latest RX-V679 AV receiver, released to the UK market at the end of July. I screwed in a lot of speaker wires, ran some tests, did some rewiring. And now it’s music to my ears. But why should you care? And why, come to that, should I want to tell you about this? I was talking to a young guy called Steve about this yesterday. He was demonstrating headphones. Everyone listens to music on headphones or earbuds these days, Steve told me. I knew this — I’d been through that phase myself. Music on the go. Music to isolate yourself from the crush and bustle of Tube travel. Music to shut out the noisy world while you concentrate on work. But is this what music’s really about? Back in the day when hi-fi was new (yes, I was around that long ago) headphones were thin steel diaphragms driven by electromagnets, a system that had worked fine for receiving morse code. For music, not so great. Music in those days came out of loudspeakers. And you sat in your living room and your living room became your concert hall. The Yamaha RX-V679 is taking me back to that. I’m not using music to drown out my surroundings. I’m not using it as a mood landscape to stimulate my creativity. I am, what we used to call, actually LISTENING to the music. A decent living room sound system makes it easy to do that. In fact while the music’s playing here I’m finding it pretty hard to do anything else — even writing this up. The music’s that good. It’s that compelling. If you’re new to AV (if you’re not, you can confidently skip this intro) you may be wondering: What’s an AV Receiver and why do I need one? Are we talking hi-fi? Home theatre? Or something more exotic. You may already have a hi-fi set up with a built-in radio tuner. These devices, simply called “receivers” have been around since the 1960s. 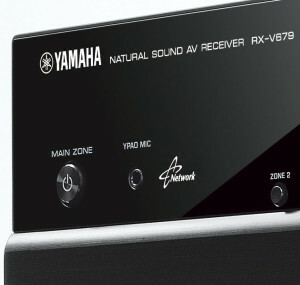 AV (it stands for audio/video) includes the basic receiver functionality for amplifying the internal input from the radio (AM, FM and/or DAB) as well as external audio inputs — from a CD player, for example — but also adds the ability to handle incoming video streams associated with the audio and output each one selectively to one or more TV sets or projectors. Surround sound, introduced in the mid-1970s, has become a standard feature of AV receivers, with the most basic being able to output 5.1 audio (five speakers and one sub-woofer). More expensive units offer 7.2 audio (two additional speakers and a total of two sub-woofers). The very top end of the range, where you can pay several thousand pounds, will also embrace the latest multi-speaker surround sound techniques like Dolby Atmos. Blu-Ray discs can deliver pure 5.1 and 7.2 surround sound developed in the studio with, for example, the use of multiple microphones. But devices like the RX-V679 can use digital signal processing (DSP) to recreate very similar effects from two-track or even mono recordings. DSP is a process (typically aided by dedicated hardware) that applies complex mathematics to digitised audio signals, achieving sound-bending feats impossible back in the day when hi-fi was purely analogue. As well as the traditional hi-fi treble and bass controls, DSP can emulate different acoustic effects, sharpen the dialogue in a muddy movie soundtrack and enhance the sound of overcompressed music tracks. AV receivers are also expected to be able to switch between multiple input sources, keeping associated audio and video streams together, and may also add limited video processing features (like upscaling). You almost certainly have a TV set, and/or perhaps a projector. And over time you may have acquired various set-top boxes along with DVD or Blu-ray players. And, of course, games consoles. 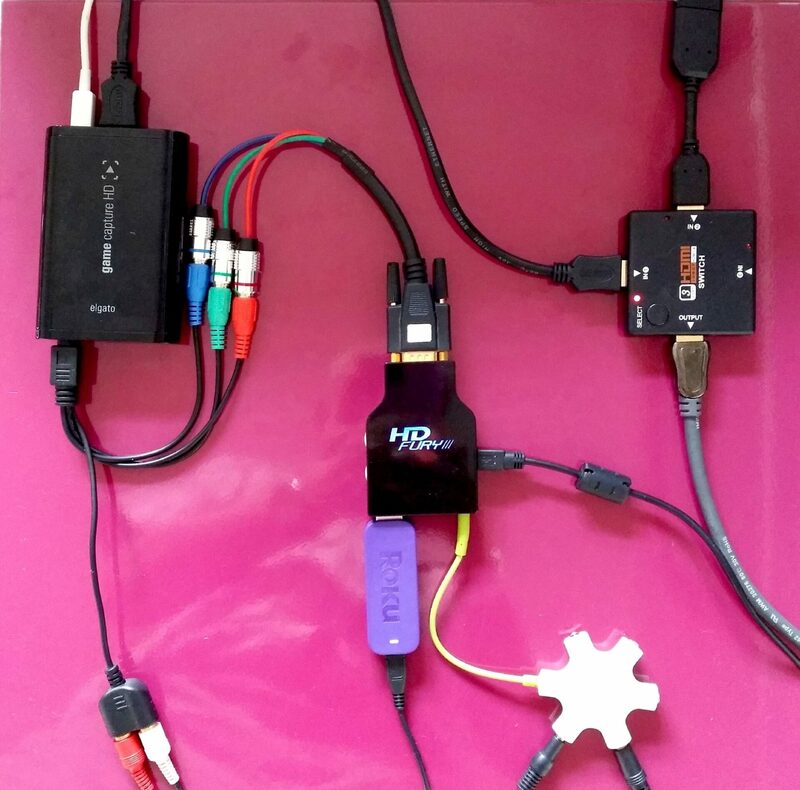 Taking inventory of my own kit, I found I was actively using a D-Link Boxee Box, a Roku 3, a PC running Kodi media centre software, and an Amazon Fire TV. My main output would typically be a 1080p projector for the video, with the sound being handled by an old AV unit that Harman Kardon had been kind enough to leave with me just before the commercial arrival of HDMI in 2004. The sound of that AVR-630 was superb, but without HDMI support I was having to manage AV through a tangle of wires and external HDMI switch boxes. The wife was not pleased. The arrival of the Yamaha RX-V679 solved everything. 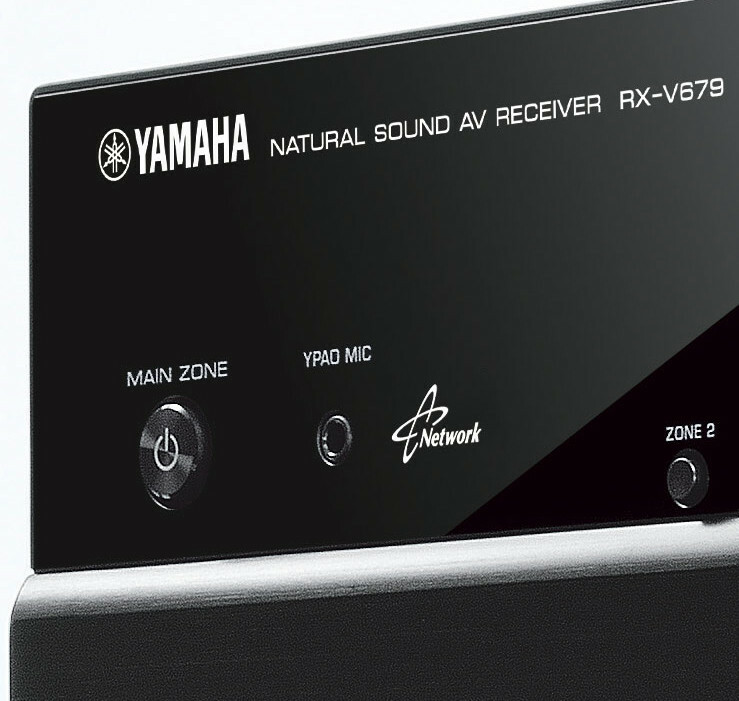 Yamaha’s RX-V679 AV Receiver is near the top end of the company’s midrange offerings. It will do everything discussed in the Introduction above, but can also be connected, wirelessly or via Ethernet, to your local area network (to play multimedia material from your network connected devices) and also to the Internet. This opens the machine to a (literal) world of new music sources, a vast number of which are provided free of charge. The RX-V679 is also hard-wired for some paid-for streaming services. More of that later. What I started as a straightforward review is quickly turning into something more like an adventure. And like all good adventures, I anticipate it will have its ups and downs. Overall this is very fine piece of kit, and it’s a great joy exploring it. But I can already see some potential frustration and bafflement lurking in what strike me as Yamaha’s — shall we say — less than optimal design decisions. As any true adventurer should, I’ll be reporting the downsides as well as the upsides.